Daniela Tejada is meeting Jeremy Hunt after Matthew Hedges was sentenced to life in prison on an allegation of spying. He had been held in solitary confinement since he was arrested in May 5 at Dubai Airport. Matthew Hedges was held at Dubai airport on May 5 after flying in to interview sources about the country’s foreign and security policies. The Foreign Office has "serious concerns" about a British student who has reportedly been held in solitary confinement in the UAE. A zip wire almost two miles in length - the longest in the world - has opened in the United Arab Emirates. Thrill-seekers can reach up to 93mph when launching themselves from the start point on the Jebel Jais mountain and enjoy panoramic views. The ride along the 1.75-mile wire lasts around three minutes and costs £124. Guinness World Records officials awarded the zip line in Ras al-Khaimah the title of longest zip wire on Wednesday. Diego Maradona has been appointed as coach of Al-Fujairah in the United Arab Emirates. The former Argentina star, now 56, has been out of management since being sacked by Dubai's Al-Wasl in 2012 but has now found a new role in the UAE second division. A statement on the club's Twitter feed on Sunday read: "Officially: Maradona as coach of Fujairah". 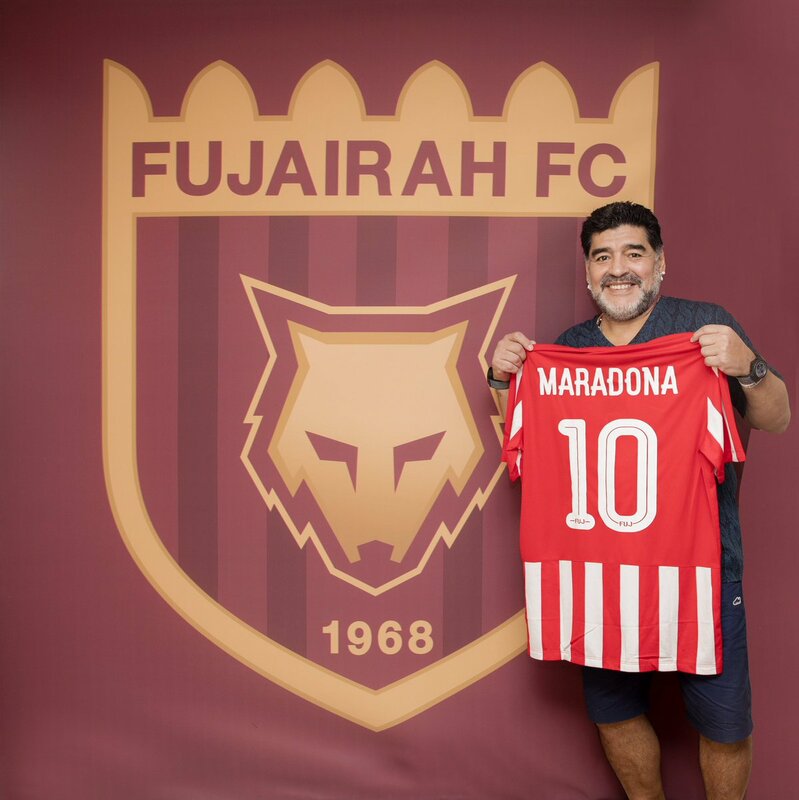 Maradona himself wrote on his official Facebook page: "I want to tell you that I'm the new coach of Al-Fujairah SC, in the second division of the United Arab Emirates." Attaching a picture of himself posing with an Al-Fujairah shirt with his name and his famous number 10 on the back, he added: "Here are my new colours!" A huge fire broke out at a high-rise tower in the United Arab Emirates on Monday night. A fighter aircraft from the United Arab Emirates taking part in coalition fighting in Yemen is missing, the country's armed forces said in a statement via a state news agency. The armed forces statement said the warplane was taking part in a mission with the Saudi-led alliance was "lost" without releasing further details. The United Arab Emirates (UAE) says it is ready to send ground troops to Syria as part of an international coalition to fight against the so-called Islamic State group. Foreign Affairs minister Anwar Gargash told reporters: "Our position throughout has been that a real campaign against Daesh has to include a ground force." "We are not talking about thousands of troops," he added but said US leadership would be a prerequisite for the UAE. Last week Saudi Arabia said it was ready to participate in any ground operations in Syria if the US-led coalition decided to take such action.